Love him or hate him, you gotta admit he knows how to create an image. That's my President, all right. Not a 747. Must be VP Pence in AF 2. It's a B757 and maybe the B747 is in for an oil change. 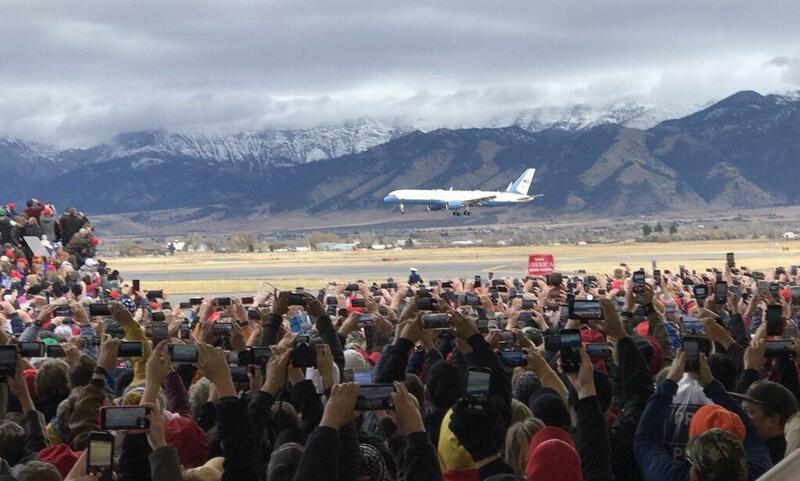 It doesn't matter any plane from a B747 to a Cessna 150 is designated Air Force-one if the president of the United States is aboard. They'll use the 757 when the airport can't handle the jumbos. The 747 is over there - - - at the bigger airport. Or you are right, and that is the VP.